A proposition for a new generation of premium, event environments . 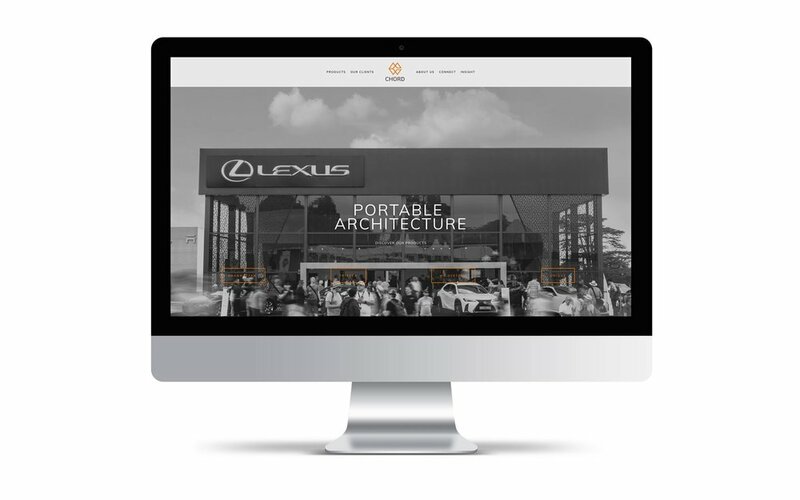 Chord Event offers 'Portable Architecture' across a range of market-leading products designed for premium event and brand experience agencies. Full creative assets required across the business in print, digital, product and spatial collateral. Worked closely with the Founder, John Hart, in capturing his vision, communicating the brand core values and creatively applying across all visual communications. Ongoing consultancy, working with Marketing Director in strategic brand development and new business initiatives. Box Creative helped me take my brand to market - I had an idea and a logo but nothing else. They helped me, not only tell my brand story, but helped me structure how to and where to effectively communicate the brand to the right audience. They have been an ongoing resource, assisting with the look and feel of our presence at trade exhibitions, proofing client artwork and full brand management. Last year we delivered one of our biggest projects for a premium automotive brand which was a great showcase opportunity for us. Box took care of everything; capturing and producing stills and video to help translate our product to prospective clients. They were on site and on hand to ensure we got the best results.